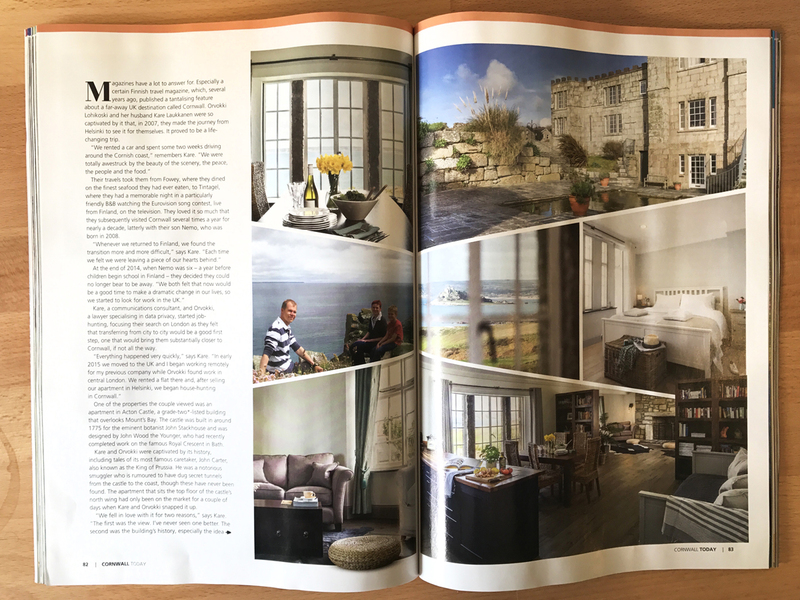 It is nice to see North Wing — a stunning property that overlooks Mounts Bay and more — featuring in Cornwall Today recently, and also in the popular publication Homebuilding and Renovating. 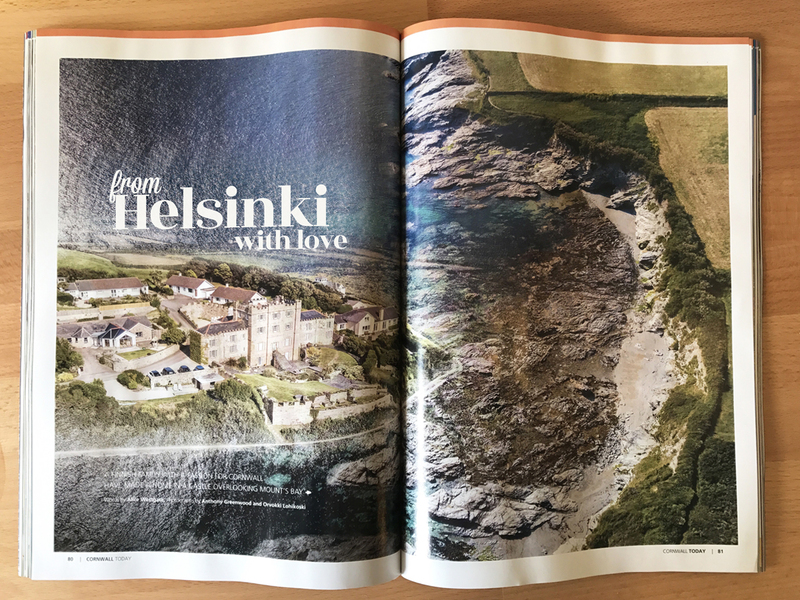 Kare and his wife Orvokki have put a great deal of care and attention into renovating this unique apartment, and have successfully combined tradition and history with luxury in its refurbishment (whilst making their dream come true in the process!) 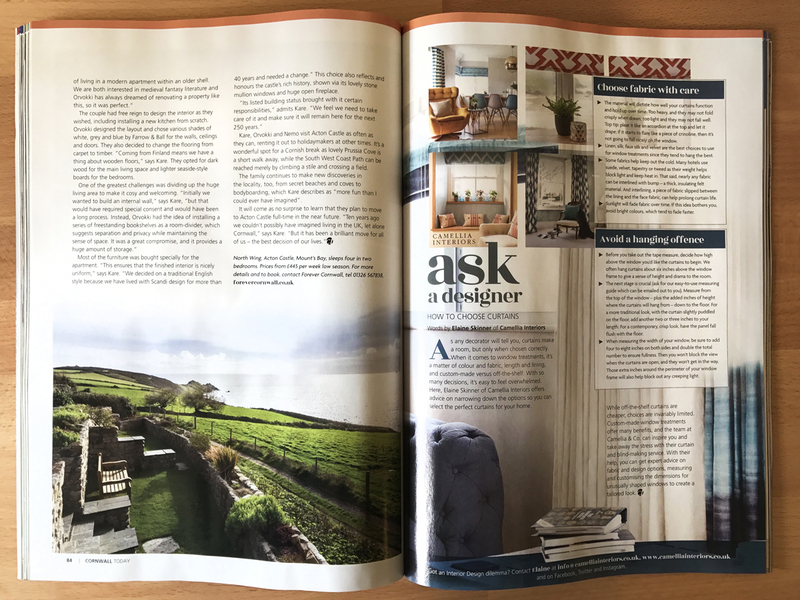 It’s lovely that these efforts have been recognised and we are very proud to represent North Wing in our expanding portfolio of beautiful holiday homes.